Nutrarich Pty Ltd is a member of the Waste Management Association of Australia. We have many years’ experience in the collection and recycling of organic waste throughout Western Australia. We have extensive global experience in closed loop recycling, which involves the collection of waste or by-products from one process (eg. farming) and using that waste to make another product. At Nutrarich, we collect agricultural, industrial, and household (compost) waste to produce fit-for-purpose composts and compost products. The Nutrarich team has the expertise to take organic type waste of any kind and compost it into a beneficial fertiliser or soil amelioration product that reduces the negative environmental impact for the end user, making it a true recycling system. 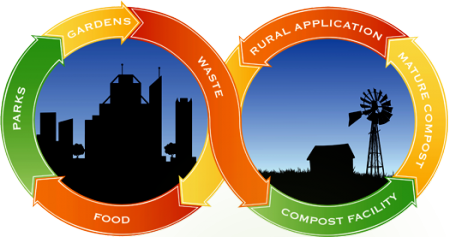 In addition to waste logistics, we can assist with organic waste diversion from landfill, composting, and the operational control of organic waste handling. If you are experiencing reduced productivity on your farm, our agronomy department can help identify and resolve your problems. Nutrarich provides advice and consultation on all aspects of soil health and science in horticulture, viticulture, orchards, agriculture, and domestic gardens, and specifically in the field of organic additives and their relation to soil borne micro-biology. At Nutrarich, we understand soil biology and the many benefits that can be gained by improving carbon, humus, and nutrient inputs. We have the resources and personnel to solve any soil-related problem. Organic waste deposited in landfill can be dangerous. It creates methane gas emissions and can cause soil and water pollution, which in turn can impact on local plants and animals. That’s why the Western Australian Government has adopted a Zero Waste program to stop waste from ending up in landfill. Nutrarich specialises in the diversion of organic waste from landfill and provides services for organic waste collection in Perth and throughout Western Australia. We are currently contracted to remove and recycle household waste (compost) including agricultural and industrial waste for up to 300,000 households in the Perth metropolitan area with an additional number of agricultural and regional waste streams throughout the state. 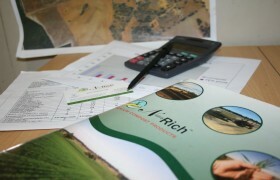 For further information about our consultancy services, email info@nutrarich.com.au or phone (08) 9248 8067.